New Year and new resolve to write more often. My Aunt Carol recently sent me a package with several family pictures and some genealogy information that she had. Thank you!!! Some of the pictures I had seen before but many I have not. We are going to talk about some of my favorites from this package. The first one is a photograph at Christmas with mom (upper right) and Carol’s (upper left) cousins on their dad’s side. Nashella (lower right) and Larry are the children of Lacy’s sister Mae. Patricia (lower left). One of the two girls had to show off her dolly. The second photo I wanted to share is one of my favorites. It depicts three Sublett siblings and their spouses. From left to right: Odelle and Lacy Sublett, Mae and Carrington Burruss and Claudia and Harry Foster. Annie is not pictured. 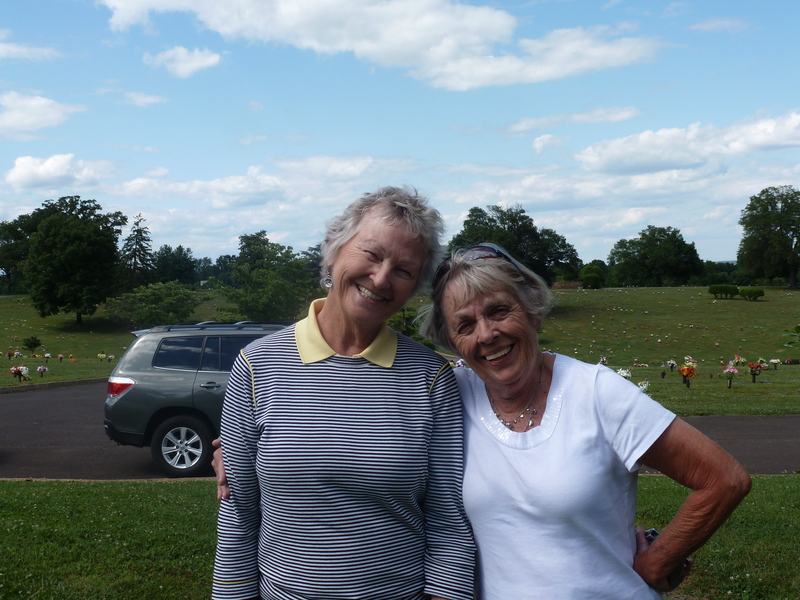 She moved away while the three other Sublett Siblings stayed in the Lynchburg area. I do not know where the picture was taken. It was definitely taken in the country, not Lynchburg. Maybe Mom and Carol can tell. I like this picture because it looks like they all have on their Sunday best. 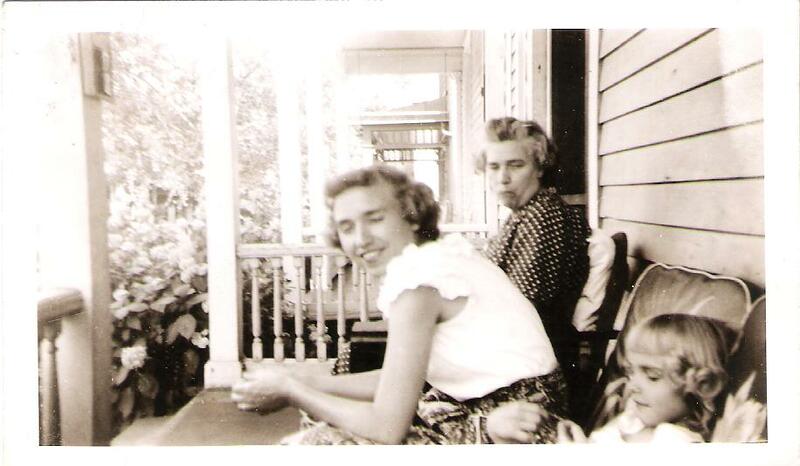 This next picture is the earliest picture I think I have seen with my grandmother, Odelle and her mother Carrie Lou Hicks Moss. My grandmother was born in October of 1916 in Petersburg, Virginia. This was Carrie’s third pregnancy. She had two children earlier, both whom died. So, when I look at this picture of this mother holding onto her child like she is, I see a woman holding on and not wanting to let go. It has to be the worse thing in the world to lose a child. I recently had a close friend that had to go through this. But this picture is one of hope also. Carrie went on to have three more children after my grandmother was born. To conclude my Photo Friday, I am including two pictures of unknown children. This is a reminder to all of us that we must label the back of our pictures with an archival pen, so future generations will know who they are! Look at how cute they are. I wish I knew who they were. Mom says I have been focusing too much time on my paternal side. She is right of course! I guess part of the reason is because of the new Whitehead Archives that I discovered through my friendship with my cousins. There are plenty of stories and challenges on the maternal side to conquer. So here it goes. When first researching an ancestor, you usually start with the US Census records. The US Census is a decennial census written into our Constitution. This is done to align the seats of the House of Representatives. If you recall in your history class, each state gets two state senators. The House of Representatives however is done by census numbers. In terms of genealogy, the census provides the best snapshot of your ancestor over time. Each Census is different in that different questions are asked. The United States Census is gearing up already for the 2020 census. You have to wonder what type of questions they will ask. Or at least that is what a genealogist wonders. Long gone are the days of door to door enumerators. The census is given by US Postal Service. There are still census takers that go door to door in order to provide for undercounting due to illiteracy, homelessness, etc. A city directory is another gold mine for a genealogist. Because unlike the census which is done every 10 years, a directory is usually done yearly. Lynchburg, Virginia has their directories indexed and online. I am very lucky because a huge chunk of my ancestors lived there. It is through these records that I can trace my ancestors’ movement over time. One of the reasons I blog about my ancestors, it helps to see the holes in my research. Believe me there are plenty of holes in this one. One of the reasons for the delay is that I have been researching Emma. There are still holes, but I believe you can begin to see her in context with the life she lived. Emma Frances Heath is my 2nd great grandmother on my maternal side. Emma was born 15 June 1862 to William Heath and Rhoda Elizabeth Hyman Heath. I know little about her parents and will have to research them more in-depth. However, I want to show you how to track your ancestors through the Census and City Directories. The 1870 Census shows Emma is living with G.B Fergerson and his wife Sally Fergerson. She is listed as a niece and 10 years old. Also living in the home is the Fergerson’s 3-year-old son, Stephen and a Farm Hand. If you noticed the discrepancy in the date of births you are not alone. Her tombstone has 1862 on it. It is likely that the census take rounded up or down. 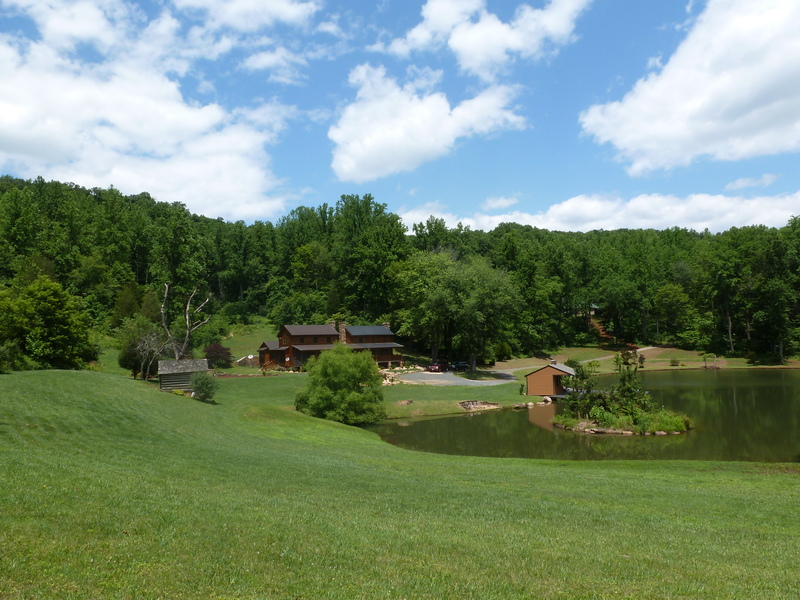 The location is Brookville, Campbell County Virginia. Her uncle is listed as a farmer. Because I have not researched this side for very long, I am not sure what happened to her parents. Her mother seems to have passed away in 1871, Emma would have been 9 years old. So it seems obvious that Sally was likely Rhoda’s sister. However, what is not clear is why Rhoda would have died in Dayton, Ohio. I will have to look into that. So much genealogy to do, so little time…. By the 1900 Census, Emma is listed as 36 years old, Lemuel is 49. This census is great because it asks how many children born and how many still living. She had 10 children. They ranged in ages on this census from 2 years old to 19. Her sister-in-law, Mary, is also listed there. There are no known families living beside them on this census. (Census Amherst, 12th District, Pedler). On 29 May, 1923, Emma’s husband, Lemuel dies, he was 74 years old. Emma Frances Heath Hicks dies on 4 September 1945, she was 83 years old. Below is a timeline that I was able to create from the Lynchburg City Directories. The abbreviations used did vary within the directories. The husband’s occupation was usually mentioned. However, after Lemuel died, Emma was listed as widow. So, if you wandered onto this page for a genealogy hint, it would be to use your US Census and City Directory data to start your ancestor development. 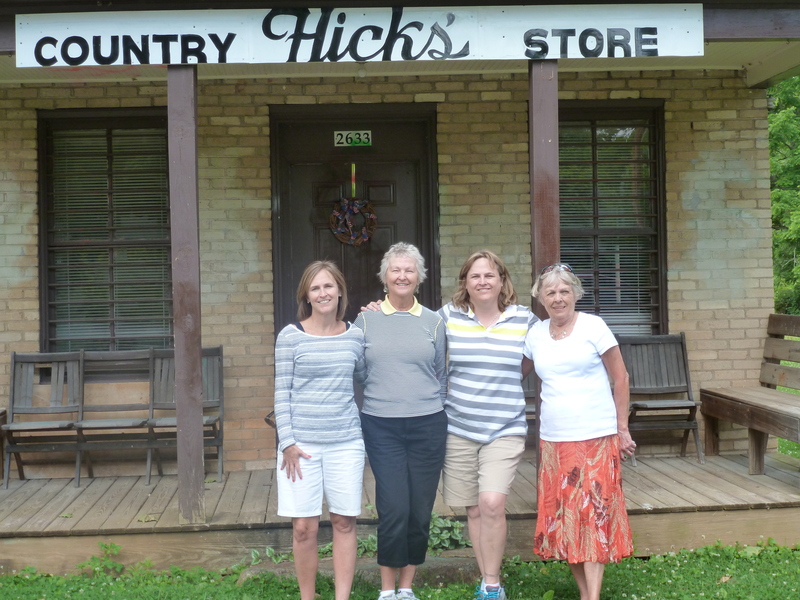 I previously have written about my great-grandmother Carrie Lou Hicks Moss. She was born in 1888 in Amherst County, Virginia. Her birth record states it was April 4, 1888. However, her granddaughter Carol seems to recall that she celebrated her birthday on the first day of spring (March 21). Her death certificate says that her date of birth was 21 March 1889. My mom moved away after getting married, so we do not have many of the traditional mementos from the family. The same is true on my father’s side. So as a result, I believe my quest for information grew. When I made my genealogical visit to Virginia in 2012, my Aunt Carol gave me some family keepsakes. 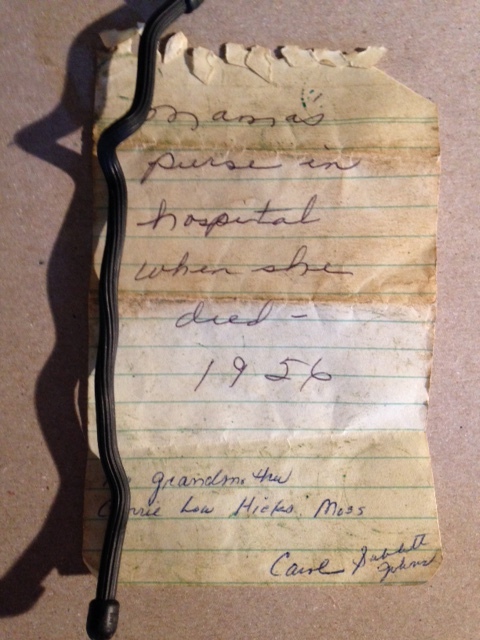 Carol gave me the change purse that was in her grandmother’s possession when she died, 6 May 1956. It is not a historical heirloom by any nature, but it is a piece of both Carrie Lou and her daughter Odelle and even my Aunt. It is a simple sheepskin change purse. That is it. Nevertheless, when I think about the women that carried it, and the women that kept it safe, I cannot help but feel nostalgic. You can envision what type of women they were…sentimental. 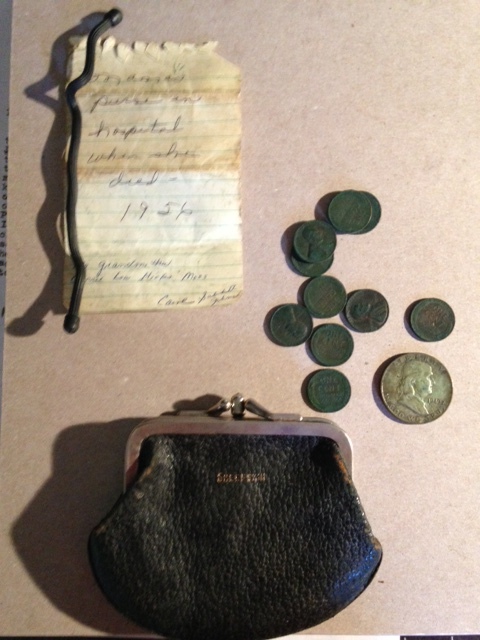 So today, as I got out the coin purse and re-examined the contents, I feel a connection to my family’s history. What do you have that you treasure from your ancestors? Please share. I always wondered why John Wayne said Pilgrim so many times. Anyhow, Recently, I have been thinking about Pilgrims. I even wonder to myself if I can call myself a descendent of a pilgrim. I have found information that leads me to believe that I am a 9th generation Pilgrim. Let me tell you why. I was researching the old family tree and shaking some of the ancestral leaves when I noticed that I had an ancestor that died in Plymouth, Massachusetts. This got me thinking, when he got here and how. Here is a little timeline about the pilgrims just for a refresher. Robert Hicks was on the second ship, so he did not make it in time for the first Thanksgiving, but he got there as quick as he could. His wife came over on The Anne, which arrived in the summer of 1623. Robert was a Fellmonger in England. What the heck is a fellmonger? Essentially, he was a leather worker. He was a dealer in hides and skins. When he came to the New World, it looks like he became a farmer. Robert was married to Margaret. Some believe her maiden name was Winslow. Some of this information is still speculative, as I have not confirmed it all. Nevertheless, it appears that Margaret could have been his second wife. Regardless Margaret comes to America with her son Samuel and Lydia on the Anne in 1623. So this is the way my line goes like this. My mother’s grandmother, Carrie Lou Hicks was the daughter of Lemuel Dabney Hicks, who was the son of Blansford Hicks, who was the son of William Hix, who was the son of Samuel Hixs III, who was the son of Samuel Hicks, Jr. who was the son of Samuel Hicks, who was the son of Robert Hicks who came over on the Fortune and landed near Plymouth in 1621. 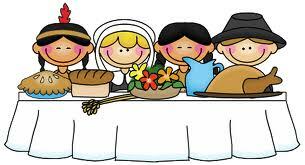 Consequently, my mother who always considered herself a daughter of the south, now realizes she has a Pilgrim heritage. I think she will be okay with it. The character of a person that decides to leave EVERYTHING they know to set off for the New World is a valiant person, and it is good to know that character and genes are in us too. This Thanksgiving is going to be different, I can already tell. I am already thankful for so much in my life. I will pause this year to reflect with a little more familiarity about the brave people that risked everything to come to the new world almost 4oo years ago. Until later, you will find me exploring backwards. By the way, my pilgrim name is Patience Jameson.